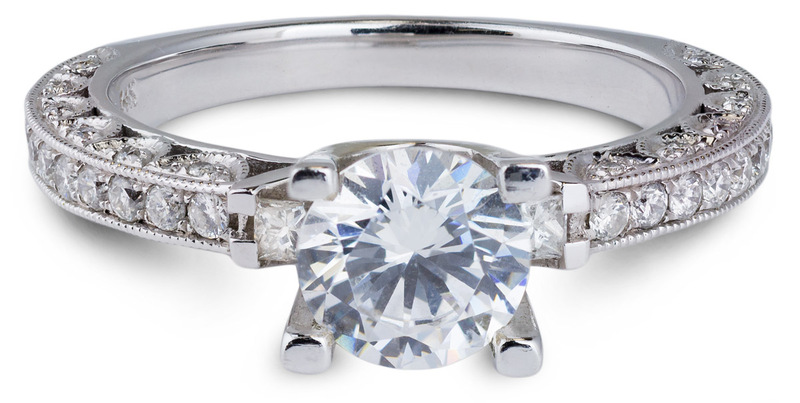 The bold lines of this engagement ring are beautifully softened by the sweeping elegance of the accent diamonds. 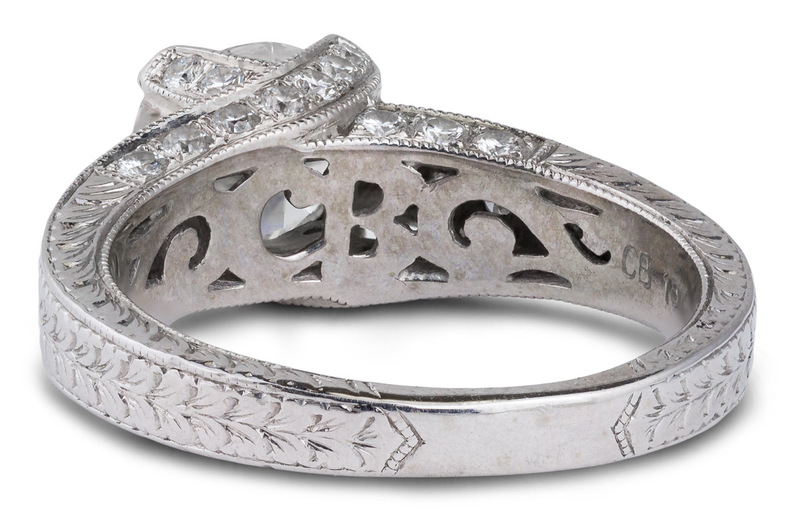 The leaf patterned engraving around the shank and the subtle milgrain accents add a vintage charm. 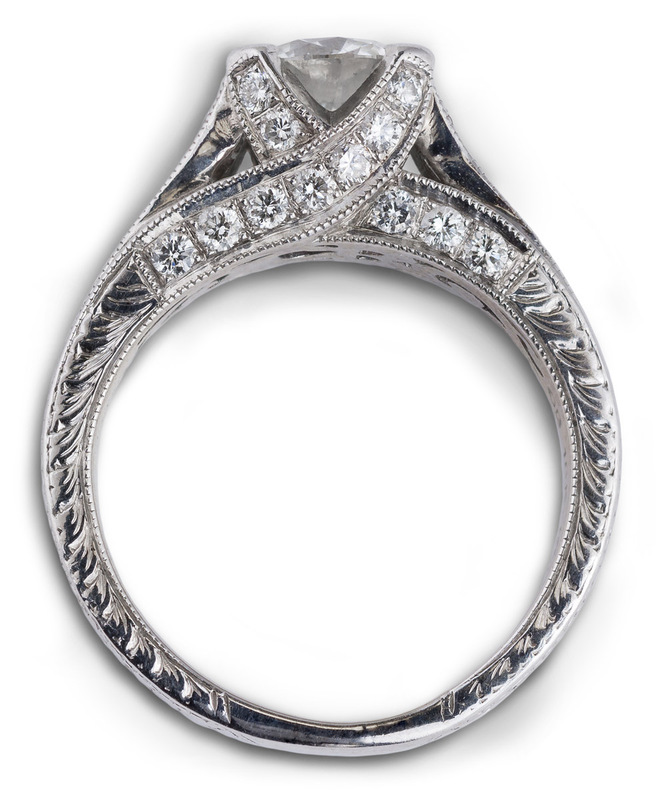 A filigree monogram graces the inside of the shank, underneath the central mounting. 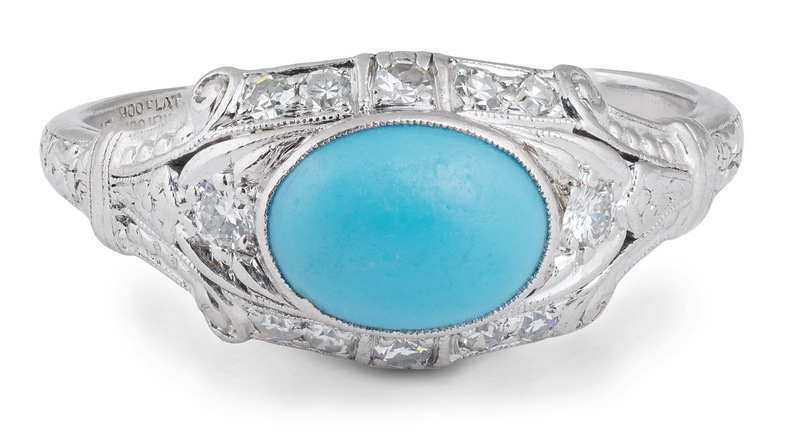 This ring is a one-of-a-kind, expertly crafted by masters of their trade.